Can Toronto support all of its recently announced luxury retail? Holt Renfrew is expanding its Bloor Street store, building a new 120,000 square foot Mississaga unit, and has recently completed an expansion and renovation of its Yorkdale Shopping Centre location. 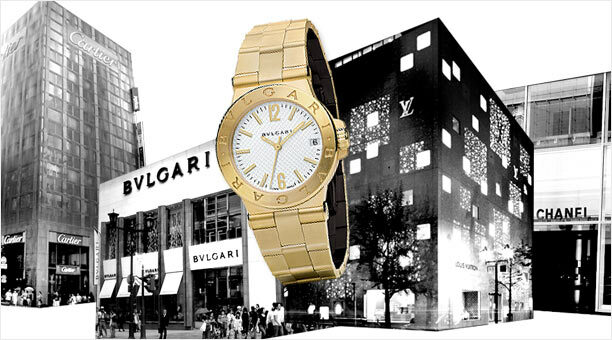 Yorkdale, itself, has created a world class luxury wing, welcoming first-to-market retailers such as Bulgari, Moncler, Jimmy Choo and Versace. Moreover, Toronto's Yorkville area will soon boast Canada's only Kiton store, while pricey international brands David Yurman, Christian Dior, Bulgari and others seek space in the Bloor Street area. Saks Fifth Avenue will also open at least two Toronto stores in the next two years, contributing to an unprecedented luxury retail boom in Canada's largest city. 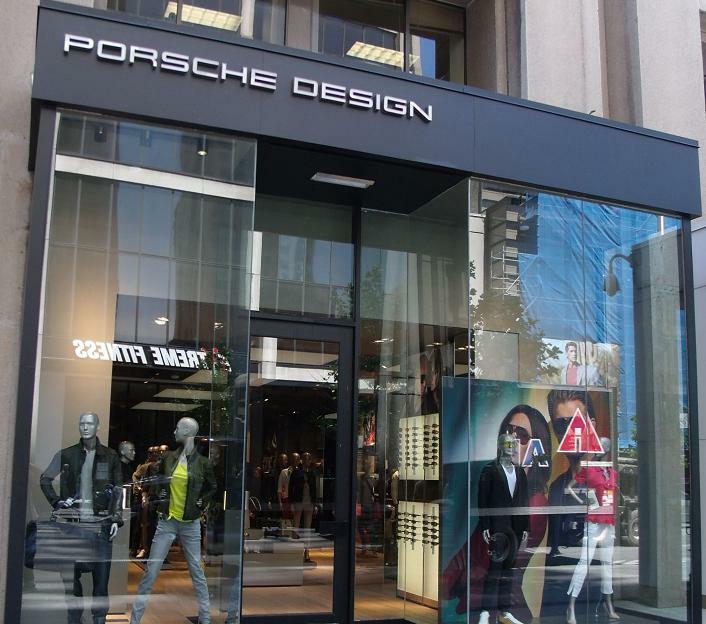 In the summer of 2012, Porsche Design opened its first Canadian store on Bloor Street West in Toronto’s Yorkville neighbourhood, in what is arguably ground zero for luxury retail in Canada. It didn’t take long for a limited edition rose gold Le Mans watch to sell for an eye-popping $275,000. A few months later, on a whim, I ventured into the store myself, only to witness a man in his early 40’s drop $75,000 on an ultra-sleek timepiece, while in the back corner of the store, a woman snapped up all eight limited edition hookahs, priced at $2,500 apiece. A couple of blocks north, in the Hazelton Hotel, Canada’s only Richard Mille boutique (a small shop-in-shop at Louis Black) is selling half million dollar tourbillion watches – the same kind that Rafael Nadal had stolen from his locker at the 2008 Rogers Cup – to the handful of uber-rich that can afford them. I ask the salesman if any of them have sold, and he informs me that they’ve been so popular he has them on back order. As I pretended to be interested in the cheapest watch in the store (a $15,000 Hublot) , I realized very quickly that this would be more of a browsing excursion and that I would be returning home empty-handed, probably feeling a little worse about the watch strapped around my wrist. If you’ve ever wondered just who’s shelling out for this type of opulence, you’re not alone. In general, we tend not to think of Canada as being ostentatious, a place where the ultra-wealthy want to spend their money. However, Toronto is fast becoming a place where the world’s 1% are choosing to park and spend their dollars. Often referred to as ‘stealth wealth’, these newcomers are settling in neighbourhoods like Yorkville, The Bridle Path, Lawrence Park, and Rosedale, and are snapping up one, two, and sometimes three multi-million dollar residences. If they’re not quite sure yet just where they want to put down roots, they’re quite comfortable renting a tony apartment for $20,000 a month. In Canada, close to 1/3 (30.6%) of families who families who earn $250,000 per year or more live in Toronto, followed by Montreal at 11.4%, Vancouver at 8.2%, and Calgary at 8.0%. Of the top 1% highest income earners in the country, slightly more than (51.1%) live in Ontario, followed by Alberta at 23.3%, B.C. at 11.5%, and Quebec at 10.1%. A recent report by Wealthinsight ranked Toronto 15th in the world when it comes to the number of millionaires that live here. At 118,000 millionaires, Toronto ranks ahead of cities like Chicago, Sydney, and Moscow. For comparison, amongst Canadian cities, the number of millionaires that live in Montreal is 52,000, Calgary 32,000, Vancouver 25,000, and Edmonton 14,000. Taking it even further, the report goes on to say that when it comes to the number of multi-millionaires who live here, there is a healthy 1,184 individuals living in Toronto, once again placing it ahead of Chicago, Sydney and Moscow, and vaulting it ahead of Los Angeles, Geneva, Shanghai, and Rome. Opulent $12.9 million penthouse at 80 Yorkville Avenue, currently for sale. Wealth, of course, can be measured in different ways, so it’s worth mentioning that neither of these reports includes the value of real estate in their measurements of net worth. Surprisingly, including real estate would not make a significant difference in overall net worth when dealing with such enormous wealth. The benchmark composite home price index of all types of housing units in the Greater Toronto Area (a more accurate measure of the typical, not average, price of a home, whether it be a single family detached home, townhouse, or apartment) according to the Toronto Real Estate Board, was $502,700 as of April, 2014. Greater Vancouver's, for comparison, was $619,000. It probably goes without saying that it’s not just local wealth that is being targeted when it comes to luxury retailing. There has been a lot of media coverage over the past few years focusing on attracting tourist dollars and on the countries’ travelers are spending the most. According to Visa’s Global Travel Intentions Study 2013, Saudi travelers spend the most when they travel abroad, averaging US $6,666 per trip. Surprisingly, Chinese travelers are in third place in the survey, and spend an average of US $3,824 per trip. Saudi Airlines’ upcoming three times weekly non-stop service from Riyadh to Toronto, beginning October 28, 2013 should serve to benefit the luxury retail scene in the city. Furthermore, according to the most recent Mastercard Global Destination Cities 2013 Report, Toronto ranks first in North America and thirteenth in the world, for the city with the fastest air connectivity growth. In addition to Saudi’s service to Riyadh, Air Canada’s growth strategy includes non-stop service to Rio de Janeiro, Accra, Delhi, Lagos, and Moscow, plus increased service to China. In the past year Toronto has seen the introduction of service to Addis Ababa from Ethiopian Airlines, Cairo from Egyptair, the reinstatement of service to Moscow from Aeroflot, plus an announcement from Aer Lingus to begin Dublin service in March of 2014. With already existing non-stop service to several cities in China from Pearson Airport, of the 1.4 million overseas tourists that visited Toronto in 2011, the city saw 142,800 tourist arrivals from China, a 25% increase over 2010. Shopping being the number one activity for Chinese tourists, spending was also up significantly to $126 million. Compare this to Chicago’s 80,000 Chinese visitor arrivals, approximately 200,000 to San Francisco, 520,000 to New York City, 459,000 to Los Angeles, and Vancouver’s 122,116 and it’s clear that there is still plenty of room to grow. Canada’s recent upgrade to Approved Destination Status in China will only have a positive impact on the number of Chinese tourist arrivals in the future. It’s not only tourists from China, however, that are fuelling a luxury spending boom in Toronto. Already home to approximately 600,000 Chinese (the largest Chinese diaspora in Canada and second largest in North America behind New York City), the Greater Toronto Area receives the lion’s share of high net worth Chinese immigrants to Canada, followed by Vancouver. Yorkville, more so than anywhere else in Toronto, has traditionally been the first point of entry for luxury retail into Canada. Louis Vuitton, Tiffany’s, Burberry, Cartier, Montblanc, Prada, Mulberry, Dolce & Gabanna, Hermes, Chanel, and Gucci, to name but a few, all have flagship stores on the Mink Mile. 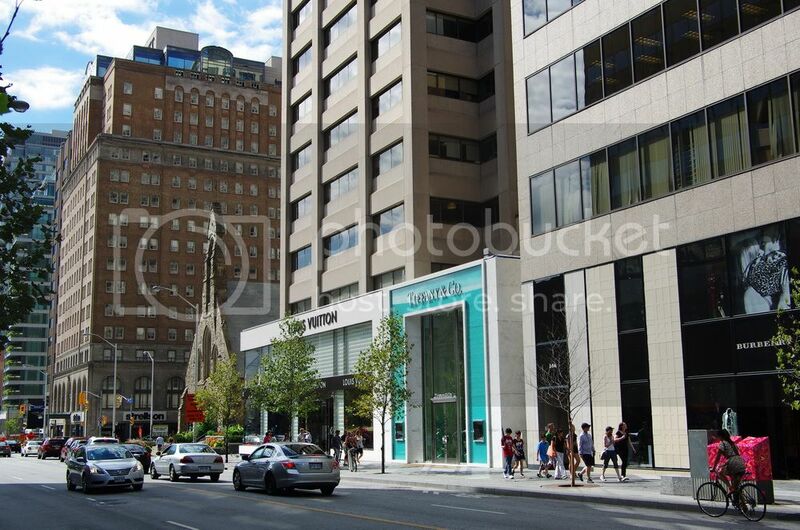 Already the most expensive retail strip in Canada (and 20th in the world), with lease rates exceeding $315 per square foot, Bloor Street West between Avenue Road and Yonge Street has long been the epicentre for extravagant shopping in the country. The Greater Toronto Area is home to both the largest Ferrari and Aston Martin dealerships in North America, so it’s no wonder, if you spend an afternoon walking around the posh shops of Cumberland Street and Yorkville Avenue, and you’ll quickly lose count of how many Ferrari’s, Lamborghini’s, Aston Martin’s, Bentley’s, and Maserati’s that cruise by. And in the past year and a half alone, the city has seen a luxury hotel boom, unprecedented in its history, with the likes of Shangri-La, Ritz Carlton, Trump, and a brand-spanking new Four Seasons all opening swanky new properties. Typical room rates start at over $500 a night, and the penthouse atop the Four Season Private Residences sold for a Canadian record $28 million. It’s not just Yorkville, though, that’s cashing in on the enormous wealth that exists in Toronto. Recently, Yorkdale Mall in the north part of the city has seen an onslaught of luxury retail with the likes of Salvatore Ferragamo, Cartier, Versace, Chanel, Gucci, Prada, Mulberry, Tumi, Jimmy Choo, Moncler, Versace, Bulgari and Tiffany & Co., all having opened, or are soon to be opening, freestanding stores or shop-in-shop boutiques. Even the once blasé shopping experience at Toronto Pearson International Airport is about to undergo likely the most luxurious retail renaissance in its history, with boutiques for Bvlgari (Canada’s first), Burberry, Gucci, Ferragamo, Montblanc, and Omega all opening in the international piers of Terminal 1 and Terminal 3. Although the luxury retail landscape in Toronto has changed dramatically in the past decade, when compared to cities of similar size in the U.S. and around the world, it’s clear there is still plenty of room for growth. Yorkdale is about to undergo its second major expansion in two years, creating room for more luxury retailers and high end department store, Nordstrom. Hazelton Lanes in Yorkville is attempting to recapture its glory days as Toronto’s premier luxury shopping destination by investing in a major renovation, and Bloor Street West will see several thousand square feet of retail becoming available in the next year and a half, paving the way for a number of luxury brands seeking flagship opportunities on Canada’s premier shopping street. So the next time you find yourself wondering who in the world is buying that $365,000 Grand Tourbillion Heures Mysterieuses titanium watch from Montblanc, take comfort in the fact that it may just be pocket change for someone.